Soul/R&B lovers I've got a treat for you! 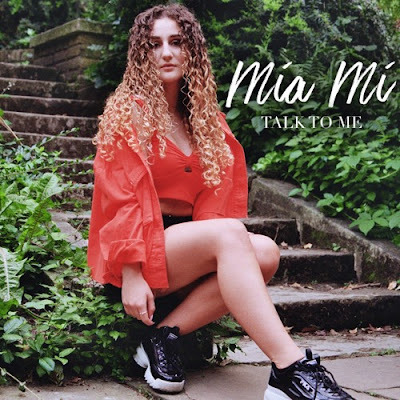 North London based soulful pop artist Mia Mi has just unveiled her debut single Talk To Me, and it is a beauty! I am loving how Mia's soulful vocals soar over the smooth instrumental which is produced by UK producer Drifta and is co-written by rising R&B star J Elle. Talk To Me is a beautiful piece of pop-tinged soulful R&B about issues of mental health, sharing the message that it's helpful talking with family and friends about what's bothering us. This is quite a beautiful introduction of Mia's voice and soulful pop sound to the world and you can stream it below! ‘Talk To Me’ stemmed from the taboo topic of talking about mental health. It’s something that I hold very close and it effects both women and men everywhere. I wanted to create a song which was truthful but also warming, something that would make people check up on their friends and loved ones to make people feel safe. Talking allows you to find answers and it opens up your mind to new possibilities.